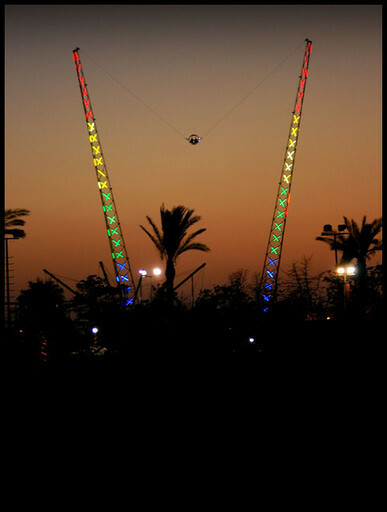 Sling Shot Ayia Napa opened in 1999 and is still going strong as one of the most popular adrenalin fuelled rides on the island. 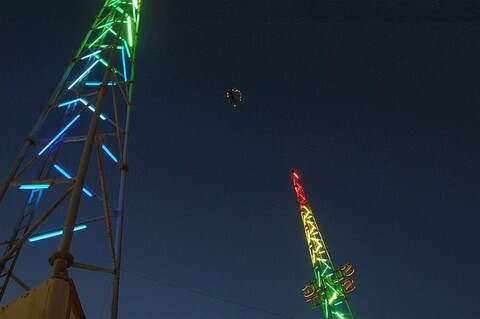 Situated on Nissi Avenue in the Parko Paliatso funfair, riders have spectacular views over the centre of town, especially at night. 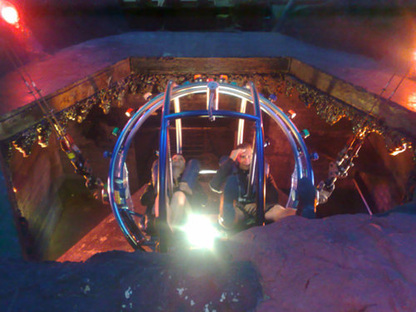 Those seeking the adrenalin rush are securely strapped inside a metal cage which is hung on steel cables, they are then catapulted up to 90 metres in a tiny 2 seconds. Everyone is welcome on board the ride from children to senior citizens and many people enjoy the experience so much they go several times during their holiday. 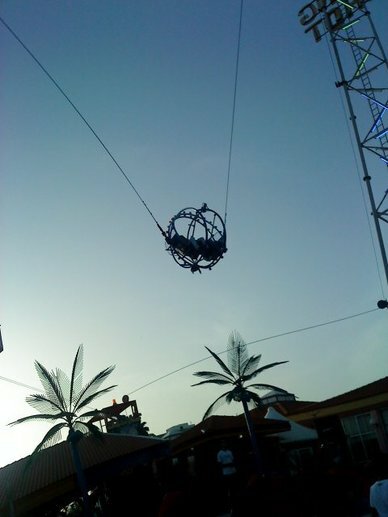 A live video stream of the ride including footage from inside the cage is shown at various places in town and both the video and the ride itself attract a huge number of spectators as well as participants.